On November 20, 2018, about 0930 mountain standard time, a Cessna 172 airplane, N27LA, was substantially damaged following an aborted takeoff from the Meadow Lake Airport (FLY) Colorado Springs, Colorado. The commercial pilot and passenger sustained minor injuries. The airplane was registered to Good Guys Finish First Inc., and operated by Kingdom, Power, and Glory LLC, dba Peak Aviation as a Title 14 Code of Federal Regulations Part 91 personal flight. Visual meteorological conditions prevailed, and no flight plan was filed. The flight originated from the City of Colorado Springs Municipal Airport (COS), Colorado Springs, Colorado at 0815. The pilot reported that after take-off from COS they flew to a different airport and conducted three uneventful touch-and-go landings. He then proceeded to FLY and set-up for a straight in approach to runway 33. The approach was initiated at 60 knots with the flaps fully extended. The pilot reported that the "mixture was set appropriately for the 7,000-foot field elevation," and the carburetor heat was not used. The airplane landed uneventfully; the pilot added full power, raised the flaps, and raised the nose. The airplane departed the runway surface at about 50 knots, however, the airplane did not accelerate; instead it decelerated to about 45 knots. The pilot reported that the airplane then began exhibiting characteristics consistent with a stall, therefore, he lowered the nose and the airplane settled back onto the ground slightly off the left side of the runway surface. The pilot slowed the airplane as rapidly as possible, however, the airplane rolled through a grassy field, a fence, and a ditch before it nosed over and came to rest inverted. The airplane has been recovered to a secure location for further investigation. 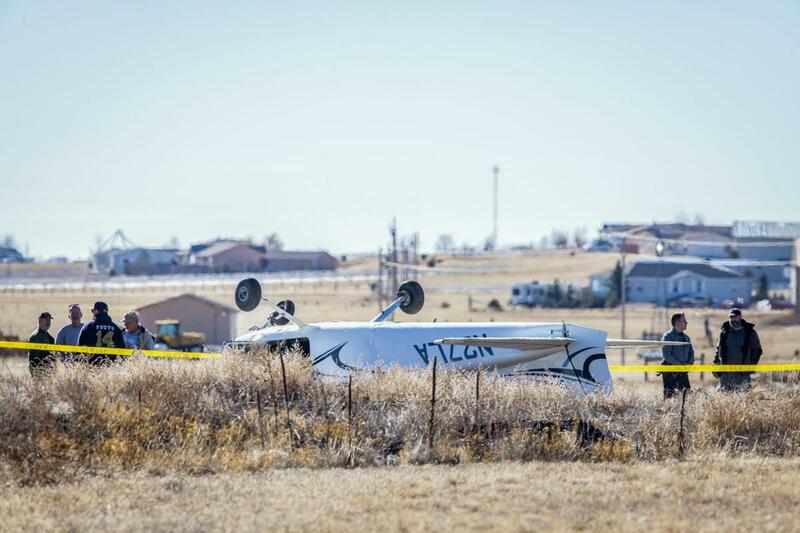 EL PASO COUNTY, Colo. - A single-engine plane crashed into a fence outside the Meadow Lake Airport Tuesday morning. 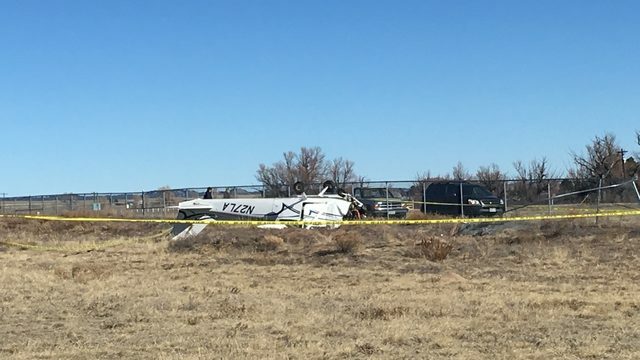 One person was hospitalized after a plane crash Tuesday at the Meadow Lake Airport in east El Paso County, the Sheriff's Office said. The plane did not lift off high enough from the runway and collided with a fence just after 9 a.m., the Sheriff's Office said. They are expected to recover from their injuries. The other person in the plane was not hurt. The Sheriff's Office did not know which person was the pilot. The plane is a 1975 Cessna 172M fixed wing, four-passenger aircraft registered to Good Guys Finish First Inc., according to Federal Aviation Administration records.